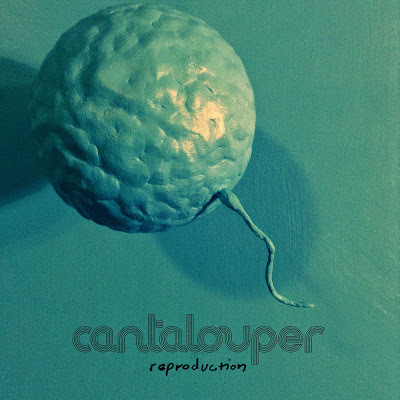 Re-emerging from behind the church signs and cornfields, Midwestern indie stalwarts Cantalouper are preparing to release their second full-length LP "Reproduction" on vinyl and digital download May 8th. Reaching beyond the audio dimension and back towards things that might have been important to you as a kid, a band coloring book, sculptures, and customized view-master reels have developed this project into a singular work. Two singles are currently available on itunes, and to support the record Cantalouper will take their noisy, heartfelt sound on the road from Dallas to Nashville with a two week regional tour in June. "Reproduction" was recorded by Cantalouper in various bedrooms, a shed, a theater, an aquarium, and outdoors around the band's hometown of Columbia, MO. Mixed with Brett Siler (Child Bite, Thunder/Dreamer) and mastered by TW Walsh (Soft Drugs, Headphones , Pedro the Lion), "Reproduction" is the strongest release Cantalouper has produced to date. It's the sound of a Missouri band layered with shoegaze and 80's new wave references coming into its own--haunting, yet familiar. It's the music of bright, hazy snapshots lost in your family's cluttered attic. It's the dog-eared pages of the spiral notebook where you once revealed your secrets. It's the soundtrack to the last day of your childhood; warmer, deeper, and louder than you remember.